Jung Se Woon will be coming back soon. The singer released a 'coming soon' image as well as a comeback schedule. 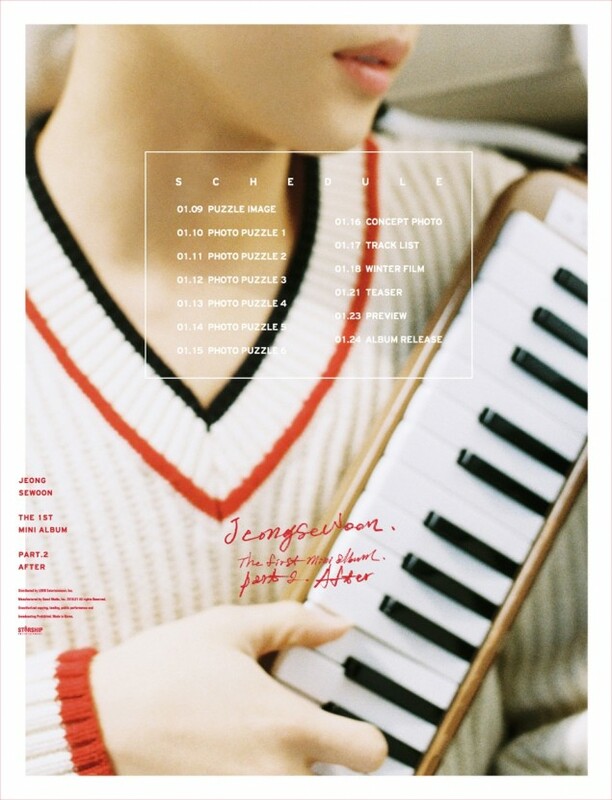 The 2nd part of his 1st mini album will be titled 'After'. He'll be releasing his teaser image as parts of puzzles up until the 15th, release a concept photo on the 16th, his track list on the 17th, and continue teasing up to the release on January 24th. Are you looking forward to his comeback?